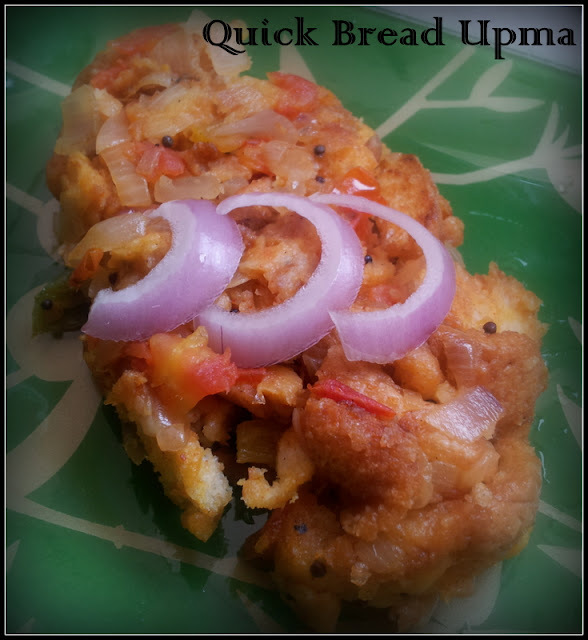 Tried this delicious n quick bread upma from Meena’s blog. I used to prepare bread upma but this is very different than mine. Adding water and making it as a thick consistency was very new to me and I really enjoyed the taste. Definitely this is a MUST TRY recipe according to me and am planning to try again. Very simple and easy recipe to prepare in a short time. I loved it with onion raita and the taste was amazing along with it. And this recipe goes to her TRY MY RECIPES event. Are you interested to know more about this event… Just click HERE !! Heat oil in a pan and add the mustard seeds followed by curry leaves and green chilli. Add chopped onion and sauté for couple of minutes or till the color changes little pink. Now add chopped tomatoes and fry them together. Add salt, turmeric powder, coriander powder and chilli powder. Saute and add one cup water. Mix well and cook until the tomatoes turns soft and mushy. Mean while, cut the bread slices and add it to the cooking mixture. Mix well so that the bread pieces absorbs all the remaining water and stir till the thick consistency is obtained. Turn off the flame and garnish with curry leaves and Coriander leaves. 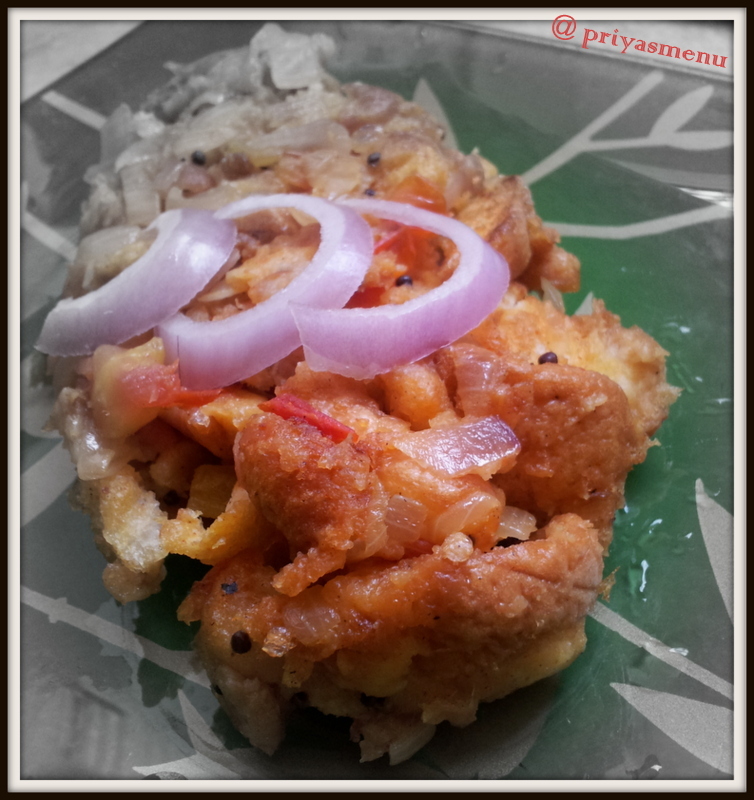 Delicious and yummy Upma, very beautiful click.